March 25, 2018 SEOBy DEANknows! One of the biggest “black boxes” in the history of mankind is the Google Algorithm. It is responsible for dictating how money flows across the internet. With Google being the dominate search engine and millions of searches taking place every month, who ranks on the first page for a major search term dictates who the winners and losers are online. SEO is working to have YOUR website show up on page one, so your website can get some of that traffic, leads and ultimately money. Google is constantly changing their algorithm, down to changes being made daily. Every change that Google makes to their ranking algorithm shifts which websites receive the lions share of web traffic. Has A Google Algorithm Update Affected Your Website’s SEO? One of the best ways to assess if a Google Algorithm update has affected your website is to review the SERP volatility in your specific industry or vertical. 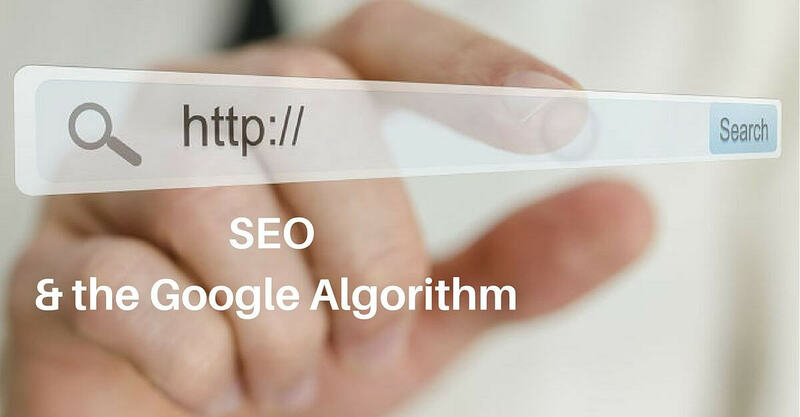 If you have seen a drop or major increase in your websites search engine rankings it is most likely because Google has made another algorithm change. Although Google claims to make changes to their algorithm approximate 2 times per day – most of those are very small. Approximate 3 times per year, Google makes a core update to the algorithm. Click if you would like to see a full list of Google Updates. SEMrush monitors search engine rankings in specific industries looking for major changes in rankings. This provides some critical insight on if your business vertical is affected by one of the most recent Google Algorithm updates. The below graph shows the overall volatility in changes in search engine rankings looking at all website industries and types. The overall rankings, when compared to specific web vertices, provide insight on the changes to the SERPS that were affected by the latest Google Algorithm update. Understanding how your specific industry is currently fairing (these statistics on web SERPS are updated weekly) against the entire web as a hole lets you have a better understanding of the changes in SERPS on your specific business website. Real estate is a multi-million dollar SEO industry. With such a large amount of money being transacted, coupled with the real estate websites being the dominate way that real estate agents/brokers acquire leads – SEO for Real Estate is one of the most competitive search engine optimization verticals around. Websites such as Zillow have disrupted the real estate industry and driven home buyers and home sellers to the web for information on buying and selling homes. Although many real estate brokers complain about the accuracy of Zillow and online property values – they still are the 800 pound gorilla for real estate search online. The arts and entertainment industry is huge online including the marketing of other media including television, movies, music, pop culture and much more. Another huge industry for the internet, millions of dollars are made in who shows up on page one of Google within the Beauty and Fitness industry. The financial markets make up a huge amount of web traffic. With simply the term finance directly correlating to money, there is almost an uncountable amount of money in this vertical. Ranking on page one for a major search term in the Finance Industry is an instant way to become a major player in the financial industries. Can you even talk about the leaders in web traffic without talking about gaming? The gaming industry is huge and with people becoming addicted to gaming, spending hours on hours online – what websites rank on the first page dictates the who is who in gaming. Below are the metrics on the SERP activity in the gaming industry. The above charts and graphs on the SERP volatility in each respective vertical is updated weekly or otherwise when a major Google search engine change is noticed. We will be adding new website categories which monitor the SERP activity on a weekly basis so if you do not see your specific website industry please check back or contact us and we will add it immediately.